The 5 Browns are delivering on their dream to wake up classical music by introducing it to the widest, largest and most excited audience they can find. Brothers and sisters Ryan, Melody, Gregory, Deondra and Desirae are the first family of five siblings ever accepted simultaneously to New York’s Juilliard School, and have released three CDs that each went to #1 on Billboard Magazine’s Classical Album Chart. 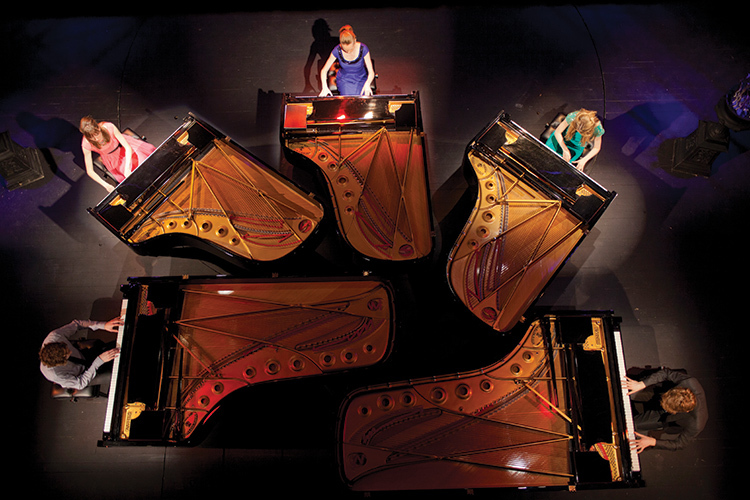 The New York Post has proclaimed: “One family, five pianos and 50 fingers add up to the biggest classical music sensation in years.” Whether performing individually or together, The 5 Browns reveal a deep connection to the intent of their material while bringing a fresh energy and dynamic character to the color and tonal spectrum of their sound.